The chief suspect in the murder of Gerry 'The Monk' Hutch's nephew over the weekend was warned of a credible threat to his life from the Hutch gang just 48 hours before the city's latest gangland feud murder. Derek Coakley Hutch (27) was shot dead in the Bridgeview Halting Site, in Cloverhill, Clondalkin, shortly after 3pm on Saturday. Gardai do not believe that the murder victim was involved in the ongoing Hutch-Kinahan feud but that he may have been targeted because of his association with some of the main players. The Herald can reveal that a violent criminal suspected of involvement in Hutch's murder was formally warned of a threat to his life on Thursday. 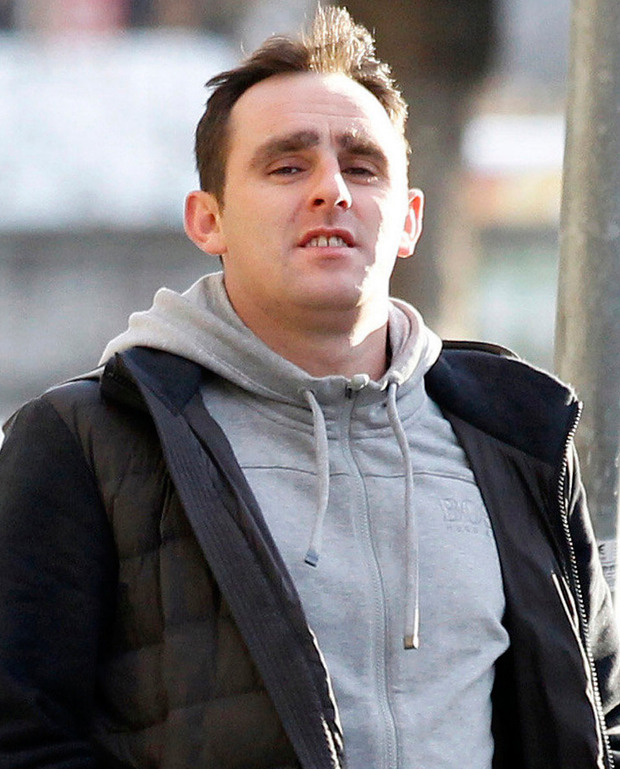 The thug, in his 30s and from the north inner city, was served with a Garda Information Message - also known as a GIM form - after detectives received information that he was under threat from the Hutch mob. This individual was the target of a diabolical plot, in which his name was scrawled in graffiti on an inner city wall less than two weeks ago. However, the plot was foiled after two firearms to be used in the hit were seized by members of the Garda Drugs and Organised Crime Bureau (DOCB) on January 12, in a top-secret operation. "Derek Coakley Hutch was not involved in organised criminality at the time of his death," a senior source last night told the Herald. "His murder was a show of force by the Kinahan-linked thug, who was being threatened by the Hutch mob." The chief suspect has more than 70 previous convictions, including for assaulting gardai and drug dealing. The Herald can also reveal that detectives are probing the involvement of a Coolock-based gang in the murder of Hutch. This gang's involvement is a "new dimension" to the garda investigation and its role in the killing is being probed by officers. It previously emerged that a younger brother of the murder victim heard him being shot dead via a mobile phone call from inside prison on Saturday. Nathan Coakley Hutch, who was jailed last year, was talking to the two men who had driven to the Bridgeview Halting Site near Wheatfield Prison with Derek on Saturday when the shots rang out just before 3pm. Nathan (24) is understood to have "gone mental" following the brutal execution of his brother, who was blasted a number of times in the head and body. Senior investigators believe Derek drove to the halting site with his two associates to throw a parcel of drugs over the prison wall. While Derek stayed with the car, his associates made their way to the rear of the site, which backs on to the prison. They then made contact with Nathan, a prime target of the Kinahan cartel, by phone to inform him the drop was taking place. Nathan is believed to have an illegally held a phone in jail. At a press briefing on Sunday, Supt John Gordon, from Lucan Garda Station, said that investigators were looking for information on two vehicles they believe were used as getaway cars from the shooting. Gardai are asking the public for information on a black VW Golf seen travelling from the Bridgeview site, which was found on fire around 1km away. A second car, a black Toyota Avensis, was later found burnt out in Darndale. "We would like the public's assistance in the movement of the black VW Golf with the registration 05-CE-1675, which was found burnt out nearby shortly afterwards," Supt Gordon said. "And subsequent to that, at approximately 6.25pm, a black Toyota Avensis with the registration 04-D-72956, which was found burnt out at the rear of the Snowdrop Walk in Darndale," he added. Hutch's mother, Noeleen Coakley Hutch (45), attended the murder scene on Saturday. The previous day, she had been awarded €28,000 for a traffic accident. She was married to Gerry 'The Monk' Hutch's brother Derek Hutch, who took his own life in 2009. The murder, which is the 14th as part of the Hutch-Kinahan feud, has led to heightened tensions in the capital. It also led to renewed criticism of garda management's decision to cut overtime of armed garda units patrolling the city's streets.